Studies have shown that 25% of all people who make a New Year’s Resolution will ditch it within the first week of the year. An additional 11%, or 36% total, will drop their New Year’s Resolution by the first month. These statistics do not bode well for those of us looking to eliminate our credit card debt or build an emergency fund this year. But, there are a few ways that you can increase your odds of beating the New Year’s Resolution statistics and not give up on them. The more people who know about your New Year’ Resolution will help you keep it. There is something to be said about peer pressure even for adults. In fact, Mashable had an article recently about using Twitter and other Social Media to help you keep your New Year’s Resolutions this year. There are a lot of great apps and bits of technology that can help you keep them. I like to write my goals and New Year’s Resolutions everywhere I possibly can. If I was trying to lose weight, I wrote my goal directly on my bathroom mirror. I looked at it every day before heading out to work. I thought twice about stopping for doughnuts on the way there thanks to that. I also have written a savings goal on the sleeve of my ATM card. I stopped dead in my tracks in buying something after looking down at my $10,000 goal written on the sleeve. We are much more successful in meeting our goals when we break them down into smaller segments. If your goal is to lose twenty pounds over the course of the next year, you should have a step by step plan on how to get there. Maybe, every week you plan on safely lose two pounds. If you have a New Year’s Resolution to run a marathon, you should break it down into small segments until you can reach your 26.2 mile goal. Taking a trip to London for the Olympics, buying a new car with cash, paying off $25,000 in credit card debt, or saving 30% of your income may be a bit much for 2011. I’m not saying that these things are impossible, but I am saying that for 99% of most Americans out there, these New Year’s Resolutions may be impractical. The closer your goals are to reality will result in your increased happiness and ability to stick with them and accomplish them. 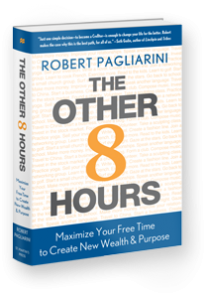 Like Robert Pagliarini reminded readers in his book, “The Other 8 Hours”, goals need to follow the SMART acronym. They need to be specific, measurable, attainable, realistic, and timely in order for you to stick with them and New Year’s Resolutions are the same way. Don’t tell a single solitary person. Yes, you read that right. My wife just confessed to me this past Sunday of a New Year’s Resolution that she has had for a few years. She wanted us to start recycling, but she was scared to tell me about it for fear of me not buying in on her plan. Her secret let me to adopting the plan with her without my knowing it was her New Year’s Resolution. So, maybe you do not have to tell everyone to make it happen. I have been unsuccessful in previous years, so this year I’m trying something new. I made a handwritten list of 10 specific and reachable goals that I want to accomplish this year. I am going to type them out and frame the list on my wall so I can look at it a minimum of once a week (hopefully all year long!) to remind me of what I really want to achieve in the longrun. Previous post: How To Send A Red Cross Message To A Member Of Military In An Emergency?